After being reintroduced into the legislature in September 2016, the Ontario government’s Promoting Affordable Housing Act has passed. This new legislation makes changes to several existing Acts including the Housing Services Act (HSA), the Residential Tenancies Act (RTA), the Planning Act, and the Development Charges Act. These changes are summarized below. Unless otherwise specified, the changes will be effective immediately. ONPHA will continue to monitor and communicate about developments related to this legislation as they are known. We will identify the dates when relevant sections are active, update our educational materials as needed, and provide information about any accompanying regulations. Landlords will no longer be able to apply to the Landlord and Tenant Board (LTB) to evict tenants who are no longer eligible for RGI assistance, and who have been paying market rent for 12 months. Amendments to the RTA have also introduced changes to prescribed maintenance standards. These changes relate primarily to responsibilities of local municipalities, but certain aspects may be relevant to housing providers. 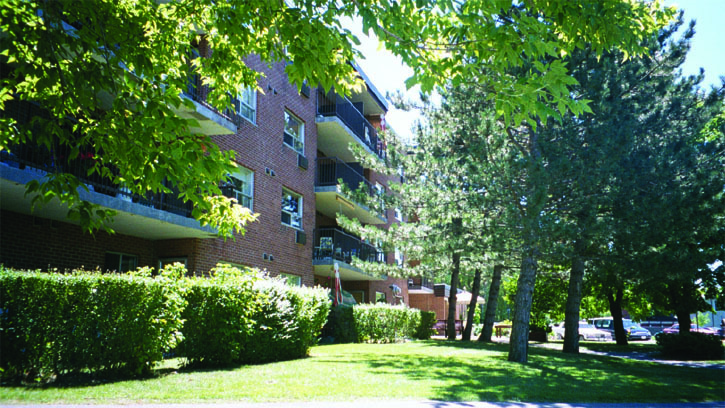 For example, under previous legislation, prescribed maintenance standards applied to a residential complex if it was located in an unorganized territory, if it was in a municipality that did not have a property standards by-law, or if the municipal property standards by-law did not apply to it. Under the new legislation, prescribed maintenance standards will still apply under these circumstances, but those buildings located in unorganized territories are only subject to the prescribed standards for the purposes of a landlord’s obligation to repair. The new legislation also provides that complaints related to buildings falling under prescribed maintenance standards will now be heard by local municipalities, as opposed to the Minister of Housing (the Minister). Additionally, any landlords who request LTB reviews of work orders issued by municipal inspectors must now provide their local municipality with the proper documentation related to the application and hearing. These changes will come into force on July 1, 2018. Consents have generally been required for redeveloping, refinancing, selling or transferring projects and land. They are typically technical in nature, require a business case and the approval of both the Service Manager and Minister. The new legislation includes changes around required consents for housing providers. Local Housing Corporations (LHCs) previously needed Ministerial consent for any corporate changes (such as issuing or transferring shares, corporate amalgamations and dissolutions), but will now only require consent from their Service Manager. Service Managers will be required to notify the Minister of any consents given for corporate changes within 10 days. Additionally, LHCs previously needed consent from the Service Manager to mortgage or develop/redevelop a designated housing project, and Ministerial consent to transfer a designated housing project. Under the new legislation, consent for all of these areas must come from the Service Manager. Service Managers will be required to notify the Minister within 10 days of giving consents in any of these areas. However, if the consent is related to the transfer of a housing project whose mortgage is guaranteed by the Province of Ontario or the Ontario Mortgage and Housing Corporation, a Service Manager must notify the Minister at least 45 days before giving consent. The amended legislation will also impact non-profit providers that fall under Part VII of the HSA (refers to providers funded under housing program categories 6(a) or (b) which are listed in Ontario Regulation 368/11). These providers previously needed consent from the Service Manager to mortgage a project or land, and Ministerial consent to transfer a project or land. Under the new legislation, consent for all of these transactions must come from the Service Manager, except in rare circumstances where a triggering event has resulted in a receiver, manager or board member being appointed to the housing provider. In these cases, transactions will still require Ministerial consent. Service Managers will be required to notify the Minister within 10 days of giving consents in any of these areas. However, if the consent is related to the transfer of a housing project whose mortgage is guaranteed by the Province of Ontario or the Ontario Mortgage and Housing Corporation, a Service Manager must notify the Minister at least 45 days before giving consent. The changes will come into force on the day named by the Lieutenant Governor. All changes related to consents mean that Service Managers will need to develop internal procedures and guidelines to address their new responsibilities. Any housing provider currently in the process of seeking a Ministerial consent will need to confirm with their Service Manager what will be needed in the future. Service Managers may approach consents differently. The new changes related to consents will not impact any projects with former federal operating agreements. The amended legislation will require Service Managers to count the homeless population in their area. The Minister will provide direction on when and how this information must be collected. Service Managers will also be required to make this information available to the public. Once adopted, Service Managers will need to consider how to build these requirements into their existing plans or arrangements. Households receiving an approved alternate form of financial housing assistance (i.e. assistance other than RGI subsidy such as housing allowances) may now be included by a Service Manager in order to meet service level standards. Acceptable forms of alternate financial assistance will be specified by regulation, or as approved by the Minister. The new regulations or approvals related to alternate forms of financial housing assistance may also impact waitlist rules for households. New rules and regulations have not yet been developed, so housing providers and Service Managers should continue with their current processes until further information is known. In an attempt to increase the development of more affordable housing throughout the province, the Promoting Affordable Housing Act has also introduced changes related to secondary suites and inclusionary zoning. Amendments to the Development Charges Act will prohibit municipalities from imposing charges on the development of a second dwelling unit that is created in certain classes of new residential buildings. Amendments to the Planning Act state that some municipalities will be required to include, and other municipalities will have the option of including, inclusionary zoning requirements in their official plans through the development of by-laws. 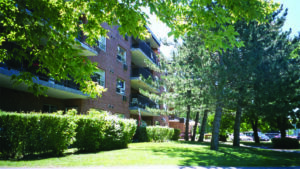 Inclusionary zoning may present positive opportunities for non-profit housing providers to partner with private developers to manage tenancies for designated units on an ongoing basis. If you have questions about the new legislation and how it may impact your organization, please do not hesitate to contact ONPHA’s Member Support Department at member.support@onpha.org or 1-800-297-6660, ext. 115.